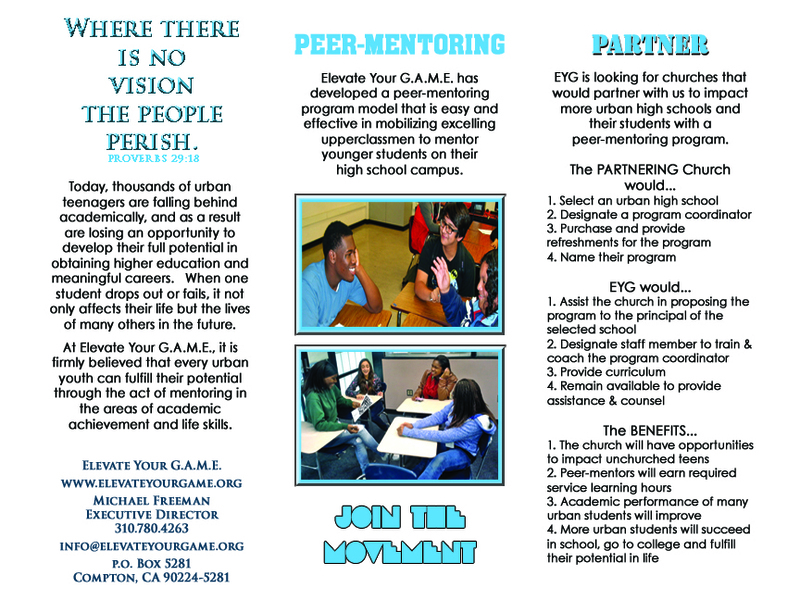 The vision of Elevate Your G.A.M.E. is to spark a movement of mentoring that spreads into every urban community in America. We have begun THE MOVEMENT: L.U.S.H. (LIFTING URBAN STUDENTS HIGHER) is a free training seminar for youth leaders in the Greater Los Angeles Area and surrounding cities who have a heart for reaching their local urban youth, schools and communities. "I want to be a part of The Movement".